Chemical approaches to synthesis play a significant role in the development of inorganic materials. Particularly noteworthy are the soft chemical routes which often yield novel, metastable materials. 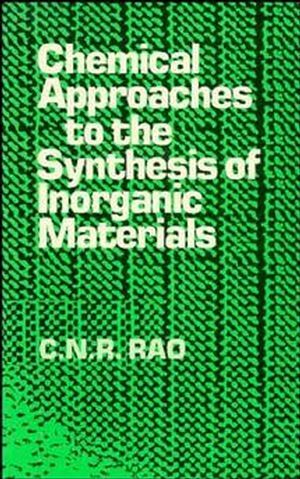 This title outlines the important methods and strategies employed in chemical synthesis of materials. C. N. R. RAO is Albert Einstein Research Professor at the CSIR Centre of Excellence in Chemistry at the Indian Institute of Science and Jawaharlal Nehru Centre for Advanced Scientific Research in Bangalore, India. Common Reactions Employed in Synthesis. Metal Borides, Carbides and Nitrides. Metal Silicides, Phosphides, Sulfides and Related Material.